Weight: 250ml / 8.4 US Fl. Oz. Gripes: Not a fan of the smell, doesn't cure existing pimples. 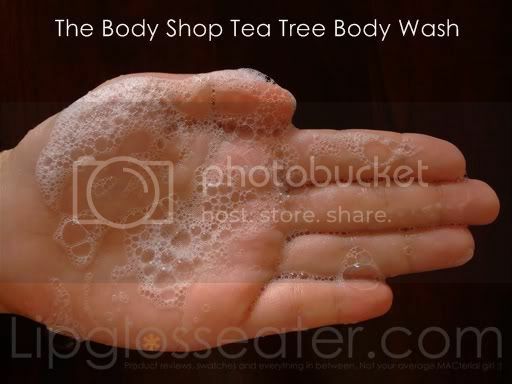 Water, Sodium Laureth Sulfate, Cocamidopropyl Betaine, PEG-40 Hydrogenated Castor Oil, Polysorbate 20, PEG-120 Methyl Glucose Dioleate, Sodium Chloride, Melaleuca Alternifolia (Tea Tree) Leaf Oil, Glycerin, Calophyllum Inophyllum Seed Oil, Citric Acid, p-Anisic Acid, Benzophenone-4, Sodium Hydroxide, Butyl Methoxydibenzoylmethane, Disodium EDTA, Limonene, Leptospermum Petersonii (Lemon Tea Tree) Oil, Tocopherol, Caramel, Yellow 5, Blue 1. Best if you want to: Feel clean and revitalized with an invigorating shower gel that leaves you with zesty, fresh scent. Lemon tea tree and Community Trade tea tree oil from Kenya contain properties that help fight blemishes and prevent new ones from forming. 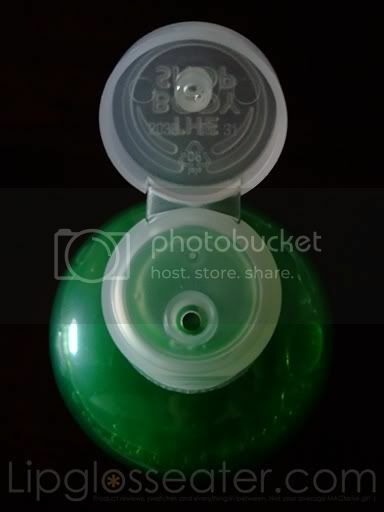 This shower gel comes in the usual plastic bottle with a flip top cap. I bought this one together with the Blemish Gel, hoping that this will cure my backne, after hearing my colleague raved about how this product cured hers! So did this cure my backne? However, this DOES work to prevent back acne. After my serious bout of stress-induced backne (that left me scarred T_T) healed, i stopped using this because i don't like the scent. Within a few days, i had several pesky tiny bumps on my back already. After zapping those with some topical medication, I now use this daily, so far so good, no backne. yet. This is the only solution for my back acne :). Love to read your reviews. 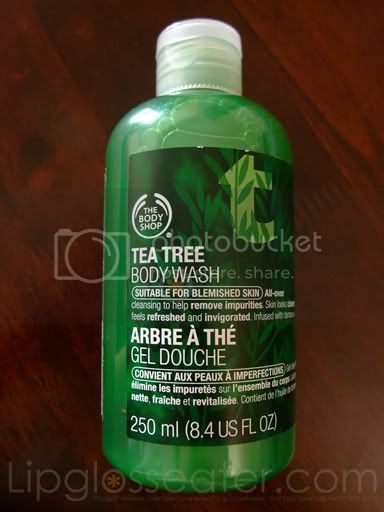 i think the tea tree scent is an acquired one, have to get used to it! 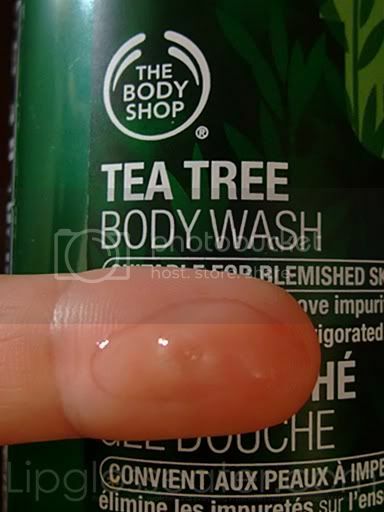 i have the tea tree facial wash, and i love it when my skin go crazy oily and with pimples popping up, it helps to reduce the oiliness and preventing pimples getting any bigger/ more. Oohh! Then i should stay away from the facial wash la, since my skin is kinda whacked and dry now. Thanks for the review. I'm glad it helps to prevent your acne.